Chinese E-commerce giant Alibaba entered into the automobile space with the debut of its first Smart car. It may be shocking for you to believe it, but it’s true. The firm had unveiled an Internet car in association with SAIC, one of China’s largest state-owned automakers. The first smart car of Alibaba group and SAIC was named as RX5 and is priced around RMB 1, 48,800 that is $22,300. The car was built, developed and tested over a period of two years and both the companies invested over $160 million together in equal proportions. At present the smart car is available for pre-booking and as per the reports the delivery of the RX5 would commence from August 2016. RX5 is powered by the latest version of Alibaba’s Yun operating system which enables it to connect and use various web services. The OS is specially designed by Alibaba for the Automobile industry. The Smart car is integrated with Alibaba’s Alipay payments which avail users to make payments at parking places, fuel stations and at coffee shops. Although it’s not an autonomous or self-driving a vehicle yet, it is connected to the internet and can translate greetings, messages. Distances between destinations can be configured using your smartphone or smart wearable. One of the important and exciting features in the RX5 is its new shiny mapping system. The reason we call it interesting is the companies claimed that their intelligent mapping system doesn’t need WIFI or GPS to work, unlike the other maps. Isn’t that interesting? Of course, we are also eagerly looking to know how it would work. 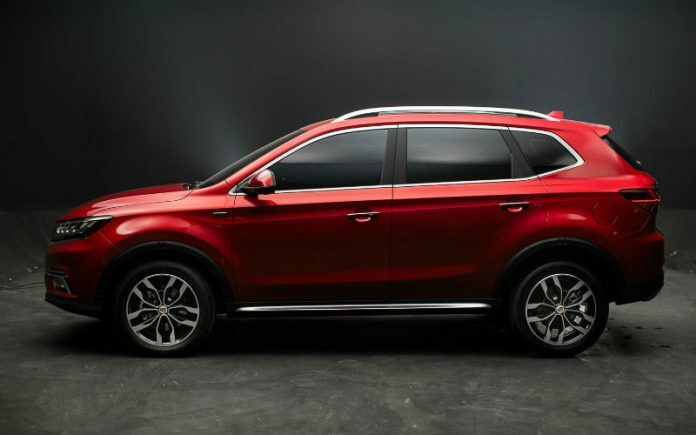 Alibaba’s Internet Car is equipped with three LED screens and a unique space for placing a maximum number of four detachable 360-degree cameras which are capable of recording videos and taking pictures inside the car. Apart from these the car also supports voice-based controls. According to the sources, RX5 is also fuel efficient and is available for pre-booking through Small website. This is not the first time a non-automaker firm had entered into this industry. Chinese company LeEco had already developed an autonomous, electric smart car named LeSEE in collaboration with renowned automakers like Aston Martin and Faraday future.